Not all camera manufacturers provide a RAW editor to allow users open RAW files of the photos they took. Nikon is one of the camera manufacturers that don’t provide one. In the photography field, Lightroom is one of the most popular tools to edit RAW files. This tool is available for Windows and Mac. However, if editing RAW is not a part of your workflow, using Lightroom might can be a waste of money since Lightroom is not a free tool. If you just occasionally edit RAW files, a free tool might is enough. There are several free RAW editors you can use as the alternative to Lightroom. 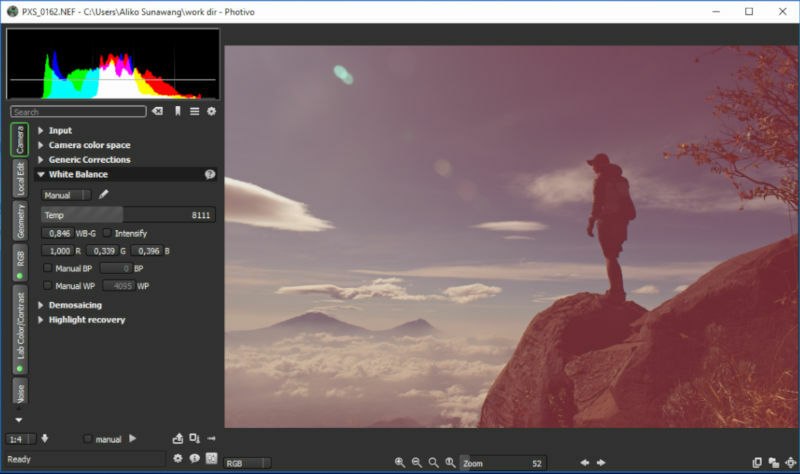 If you use Windows 10, following are 4 free tools you can us to edit RAW files. Darktable is probably the best free alternative to Lightroom. The interface of Darktable is pretty similar to Lightoom. 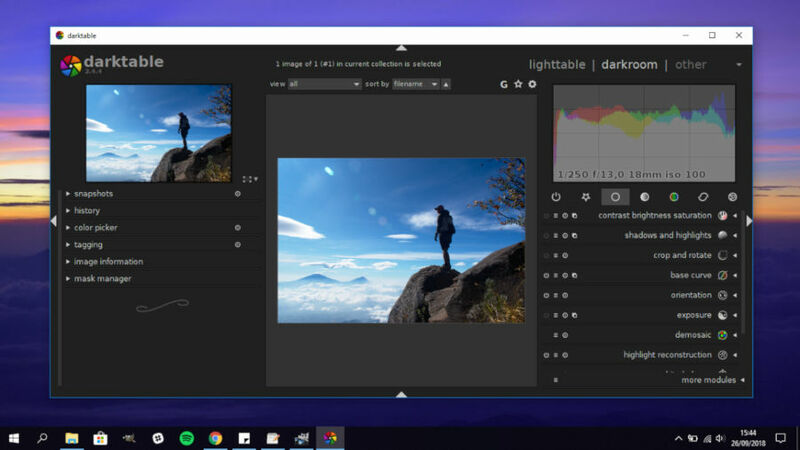 Darktable itself is a free cross-platform RAW editor. This tool might is more popular in Linux users, but you can also use it on Windows 10. 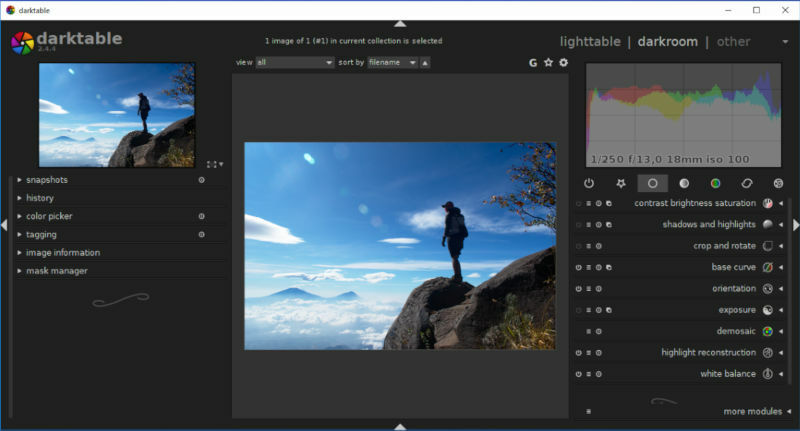 Darktable comes with a bunch of tools you can use to make adjustments to your photo. Darktable adopts non-desctructive mechanism. No matter how many adjustments you made to your photo, they don’t affect the original file. While you can use Darktable to edit RAW files to get the best tone you want, you can also use it to manage your RAW files. It comes with some management features like rating, tagging and so on. We have covered how to use Darktable in case you are interested in using it. You can download binary file of Darkable for Windows 10 on its official site. Raw Therapee has a lot in common to Darktable. It tends to more popular in Linux users. Raw Therapee itself is actually a cross-platform tool. You can also install and use it on Windows 10. Raw Therapee also comes with a professional-look interface with some tools you can use to make photo adjustment. It also adopts a non-destructive mechanism. As you start editing a RAW file, Raw Therapee creates sidecar file to store the information (some kind of metadata) regarding the RAW file you are editing. Raw Therapee also features file management to allow you manage the RAW files on your computer before you edit them. We have also written a basic tutorial on how to use Raw Therapee. You can download the binary file of Raw Therapee for Windows 10 on its official site. UFRaw is much simpler than both Darktable and Raw Therapee. It requires you to select a RAW file before the app window opens. In addition, UFRaw is designed to handle only a single RAW file. 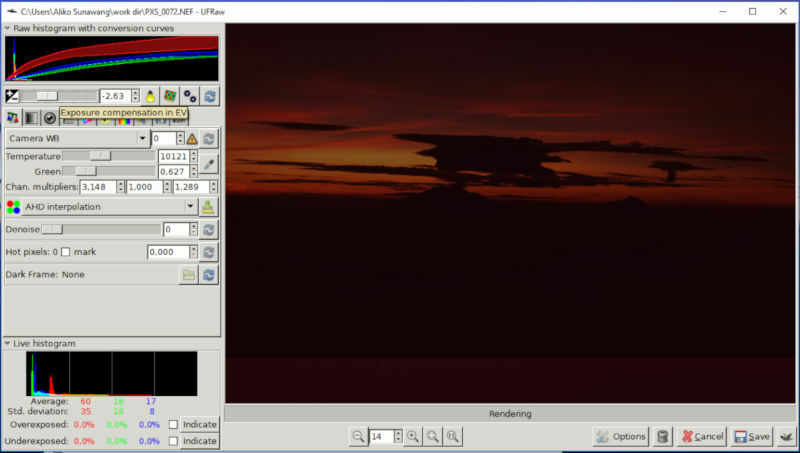 Although comes with a pretty simple interface, UFRaw is useful enough to make some adjustments to your RAW file. You can make adjustments like white balance and saturation. It also comes with handy histogram. Unlike Darktable and Raw Therapee, UFRaw doesn’t create a sidecar to store the metadata of the RAW file you are editing, but it won’t disrupt your original RAW file as it will duplicates the original file. UFRaw allows you to convert RAW files into PPM, TIFF, PNG and JPG. You can download the binary file of UFRaw for Windows 10 on a SourceForge page. 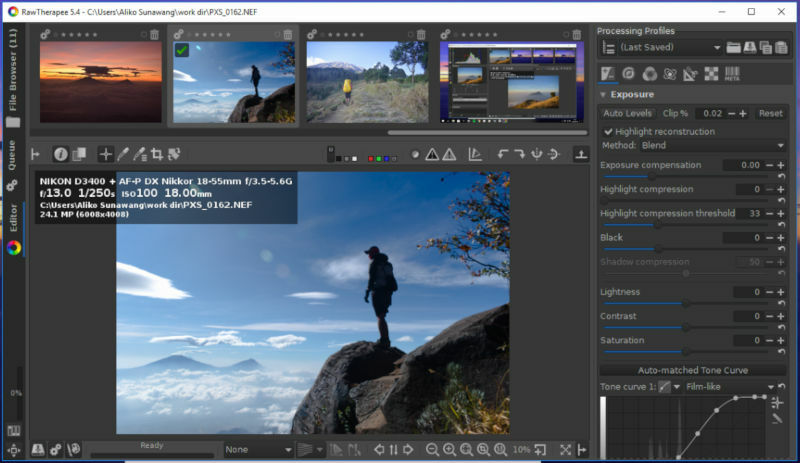 Photivo is also a free simple RAW editor. It doesn’t have a complex features like Darktable or Raw Therapee. Same as UFRaw, Photivo can only handle a single file. The way Photivo works is a bit similar to UFRaw in which it doesn’t create a sidecar file to store the metadata of the RAW file you are editing. Photivo allows you to convert RAW files to JPG. No other image format is supported by this tool. You can download the binary file of Photivo for Windows 10 on its official site.